Born on June 30, 1998, Houssem Aouar's age of 20 underlies his team's mean. Houssem Aouar already played 42 matches this season. He is a right footer just as 69% of Olympique Lyon. With a height of 1.75m, he undercuts Olympique Lyon's mean tallness by 5. The club of Houssem Aouar, Olympique Lyon, presently holds second position in group F of UEFA Champions League, eleventh position in Int. Champions Cup and third position in Ligue 1 (France). 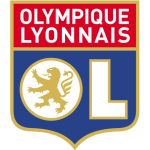 Apart from Houssem Aouar, Maxence Caqueret, Pape Diop, Yassin Fekir, Tanguy Ndombele, Lucas Tousart and Ousseynou Ndiaye are also midfielders of Olympique Lyon. His squad won 17% (0% home) in UEFA Champions League, lost 67% (0% home) in Int. Champions Cup and won 60% (80% home) in Ligue 1. The highest win streak of the last 5 matches happened in Ligue 1 with a count of 3. He was contracted to a few clubs during his professional career, one of them being France, for whom he played before coming to France. This season Houssem Aouar scored seven and assisted three goals which is 13.5% of all of Olympique Lyon's goals in Ligue 1 18/19 (France). On average, he initialized 0.07 and hit the net 0.17 times per match this season which is a worse performance than last year's. Back then 0.16 goals and 0.13 assists per match have been achieved. His shortest stay in a club has been 23 months in his present-day squad. So far in his career as football player, he was part of only one club. Houssem Aouar also plays for France. At Olympique Lyon, he is the owner of strip number 8. Considering he weighs around 154.32lb, Houssem Aouar is approximately 8lb lighter than the average player of Olympique Lyon. Throughout his time as professional football player, he was sanctioned with a card only five times resulting in a mean value of 0.36 cards per play time. This season he was given just three yellow cards. Just seven days ago he played his latest match. In terms of top seasons, the Ligue 1 17/18 (France) was Houssem Aouar's best one yet, breaking two personal records in terms of not only assists but also appearances. His longest stay in a team counts two years and 10 months in his current club. On the whole, he joined the pitch 20 times and left it 23 times after the start of the match. In the present term, he played less games until end.